A house with connections to Napoleon himself (it was the residence of one of his Generals), Chateau d’Alteville is more ‘subtle’ than ‘grand’ as French chateaux go. Furnished with plenty of antiques and possessing a distinct period atmosphere, the property offers only three guest rooms (including a single for those travelling to this part of Lorraine by themselves). Metz (to the north west), Nancy (to the west), and Strasbourg (to the south east) are all within easy reach by car - as indeed are the borders with Luxembourg and Germany. 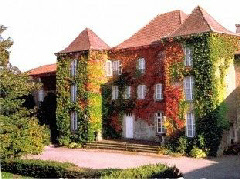 More information for Chateau d’Alteville to be uploaded soon.